If there’s one reason why modular kitchen cupboards are loved by Western Australian homeowners, it’s because they can be used to create just about any kitchen layout you desire. But what’s even more impressive is that they come pre-assembled, which means they are perfect for a DIY kitchen renovation. If you’ve already decided on going with modular kitchen cupboards, you’ve made a great decision. But to help you create the kitchen of your dreams, you first need to know a little about kitchen layouts. So, continue reading this post to find out the most popular layouts that our modular kitchen cupboards in Perth can be used to create. Galley kitchens are usually the choice of professional chefs, but you can choose this layout you have a large kitchen space. A galley kitchen layout includes benchtops and cabinets along opposite walls. This makes this layout extremely functional and offers easy entry to and exit from the kitchen. Galley kitchens offer ample bench space to prepare food, keep appliances and wash utensils. Everything will still be within easy reach. If you go with a galley kitchen layout, you can use our modular wall cabinets and base cabinets on both walls along with our drawers and pantry cupboards. This will provide you with all the storage space that you need and will also make your space look attractive. As the name implies, a U-shaped kitchen includes benchtops on three walls. This layout is also sometimes called a J-shaped or C-shaped kitchen. Such layouts are ideal for small and medium-sized kitchens. They offer great workability as all benchtops and cabinets are always just a few steps away. If you’re looking to maximise your kitchen space, then you should consider a U-shaped kitchen layout. Use a combination of our modular cupboards, pantries and drawers to create the perfect space. L-shaped kitchen layouts make use of only two walls of the kitchen. They spread out the workspace as much as possible and offer ample bench space and great flexibility. While they’re typically suited for maximising space in small kitchens, they can be used in medium-sized kitchens also. An L-shaped layout is best if you lack space, but still, want to make the most of the space you have. By using our modular wall and base cupboards on two walls you’ll create a functional and attractive space. Island kitchen layouts are usually seen in large kitchens. Such a layout is very practical as it offers ample space for cooking and for entertaining as well. This layout usually consists of an L-shaped kitchen on two walls and an island bench away from them. The island bench offers high utility. Not only can it be used to prepare food, but you can also create storage space underneath. If you’re going with an island kitchen layout, make sure to maximise your storage space with our kitchen cupboards. Use wall and base cupboards over and under your benchtops to store everything out of sight. After all, when you’re entertaining, you don’t want your kitchen to look unsightly. Single-line kitchen layouts are suitable for the smallest of kitchens and are most commonly found in small houses or apartments. Such a layout makes use of only one kitchen wall. The benchtop, storage, cooking and washing all happen on this same wall. 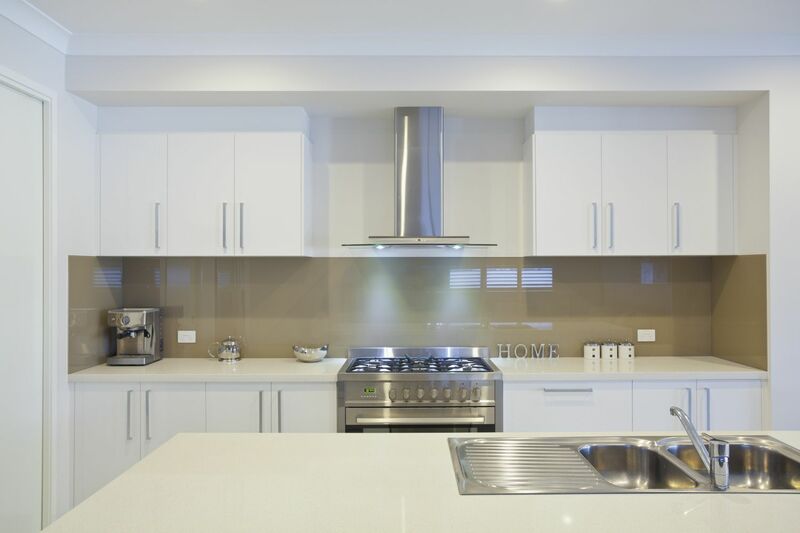 Usually, such kitchen layouts make use of both wall cabinets over the benchtops and base cupboards under the benchtops to maximise storage space. Choose a single line kitchen layout only if you don’t have space for any other layout. And our wall cupboards, base cupboards, drawers and pantry cupboards will help you create this layout with ease. This will allow you to make the most of even a tiny space. Modular kitchen cupboards can be used to create any kitchen layout. Here, at Alpine Building Products, our modular cupboards, drawers and pantries are used to create galley kitchens, u-shaped kitchens, l-shaped kitchens, island kitchens and single line kitchens.